It is with great sorrow that we announce the passing of Suzanne “Susan” Pigeon (Green) on Sunday December 31, 2018. Susan passed away peacefully with her loving son by her side at the Elizabeth Bruyere Centre in her 73rd year. 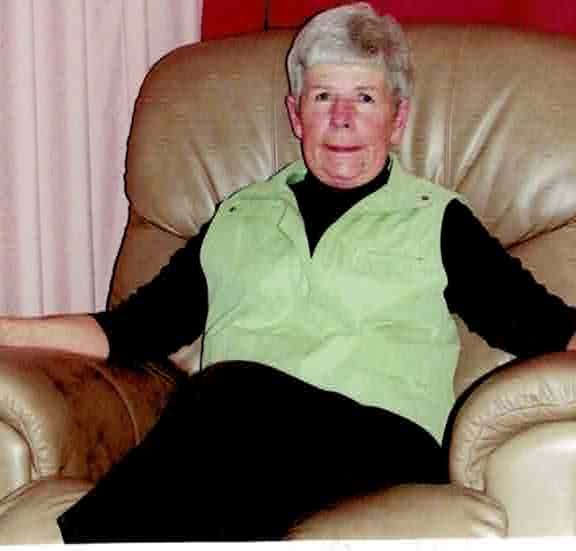 Susan, of Cobden was born on September 4th, 1946 to the late Harold and Ila (Capstick) Green. She will be forever remembered, loved and greatly missed by her devoted son Shane, her sisters Nancy Ballantyne and Sandra Pigeon (Donald), and her brother Gordon Green. Susan was predeceased by her late husband Harry Pigeon and her brother Douglas Green (Marlene). Susan’s kind and loving nature endeared her to all who knew her including her numerous nieces and nephews and extended family. Susan will also be remembered by her special niece Suzanne Pigeon (Robert), sister in law Betty Morin (Andrew), brother in law Bernard (Christine), sister in law Marie Radke (the late Murray), sister in law Doreen Francoeur (Pat), brother in law Donald (Sandra), sister in law Cecilia Moreau (Paul), sister in law Pauline Kohlsmith (the late Wayne), brother in law Gerard (Bonny), brother in law Desmond (Joan) and brother in law Michael (the late Sandie). We are forever thankful to the wonderful staff of the Ottawa Civic Hospital, and the Elizabeth Bruyere Centre who provided amazing care and compassion in her final days. Respecting Susan’s wishes cremation has taken place and there will be no services. If desired memorial donations can be made to the Canadian Heart and Stroke Foundation.